NASSAU, The Bahamas - The 2018 Atlantic Hurricane Season ended on a cool note Friday,November 30 as a cold front is expected to move into The Bahamas the first week of December. The National Emergency Management Agency held its final regular monthly meeting for members of the national disaster consultative committee, which ended with the collective sentiments of thanking God that no system threatened the archipelago during the season. Weather experts had initially expected a near-normal to above-normal season, with five to nine hurricanes and up to four of those becoming major hurricanes. Forecasts called for 10 to 16named storms, which refers to tropical storms or hurricanes. The 2018 storm names were: Alberto, Beryl, Chris, Debby, Ernesto, Florence, Gordon, Helene,Isaac, Joyce, Kirk, Leslie, Michael, Nadine, Oscar, Patty, Rafael, Sara, Tony, Valerie and William. Two of these became major hurricanes – Florence and Michael at category 3 and above. However, there was preseason storm which formed on May 25 – Subtropical Storm Alberto making it the 4 th consecutive year that happened. 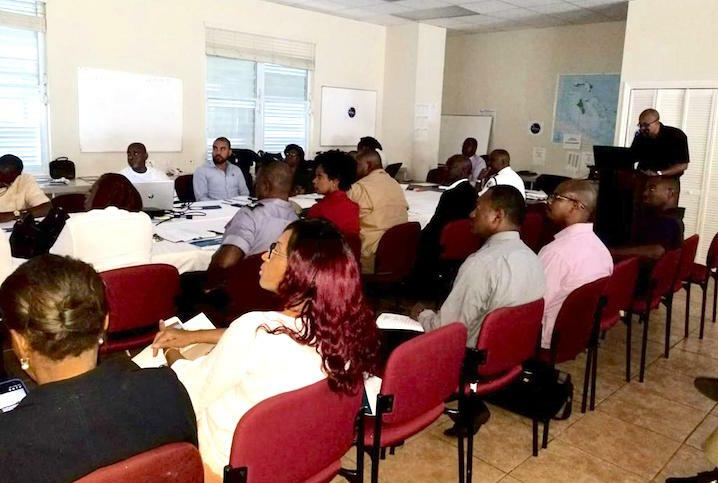 Captain Stephen Russell, Director of NEMA lead the awareness activities during the hurricane season, in wake of three major storms which impacted The Bahamas: Hurricane Joaquin in 2015,Hurricane Matthew in 2016 and Hurricane Irma in 2017. The 2018 Atlantic Hurricane Season ended with cool and breezy weather conditions across The Bahamas. A seven day forecast issued by The Bahamas Department of Meteorology from November 29 to December 5, 2018 - noted that a weakening stationary front will continue to linger just south of The Bahamas and will gradually wash out. The Maximum temperature of 77°F and minimum temperature 63°F are expected at times during the week and winds 15 to 20 knots at times. “High pressure centered across Florida will dominate the weather across The Bahamas in wake of the front and will shift eastwards through the weekend and into next week. Another cold front is expected to move into The Bahamas on Wednesday with associated shower and possible isolated thunderstorms. High pressure and cooler conditions will follow the front,” the Met Department said. Small craft operators were being advised to exercise caution. Beach goers and mariners were also advised to exercise caution due to rough surf and the high risk of rip currents along the northern and eastern shorelines during stated advisories.